Do Windows Phones have notification dots that work like the iPhone? Obviously by the picture it doesn't have dots but it might have tile that change or something. One of my favorite parts of my iPhone are the notification icons. Now Android 8.0 (which I am running) has the concept of notification dots. But these dots work fundamentally differently on Android then on iPhone because on Android the notification disappear when you dismiss the notification(which isn't exactly consistent because if you open the application it dismisses all notifications for that application) but on the iPhone they disappear when you have opened the application and actually read the notification. I am happy to explain more but just curious. Because of sandboxing, it solely depends on how the application updates its live tile. But yes Windows 10 Mobile provide this functionality for the core apps like messaging and Outlook mail. This is also a part of some third party apps like WhatsApp. 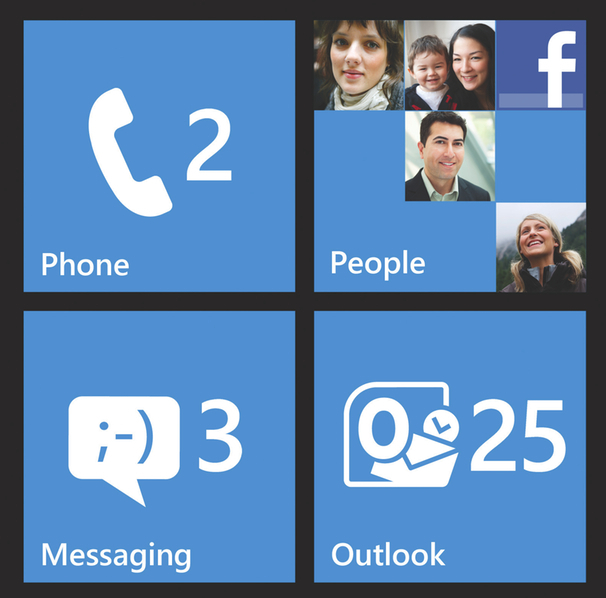 That's why it is called the live tile interface. But in addition to that, Microsoft has removed support for the notifications in Windows phone 8.0 and earlier versions of OS. So you need atleast WP8.1 in order to enjoy the interface. Moreover you can also set the amount of information you want to see by changing tile size. Name of 1st contact on the top and his message filling up the tile and in bottom right of the tile you'll see a small WhatsApp icon and a "2" besides it. Name of 2nd contact on the top and his message filling up the tile and and in bottom right of the tile you'll see a small WhatsApp icon and a "2" besides it. Name of the contact whose message you haven't read on the top and his message filling up the tile and in bottom right of the tile you'll see a small WhatsApp icon and a "1" besides it. Consider you have read all the messages and now upon your return to the start screen you'll see only one state of the tile with WhatsApp icon in the middle and label "WhatsApp" on the bottom left the tile. The tile may still pretend to change with the animations but every time it will go through transition it will have that same state. This is how notifications in Windows Platform work and this is one of my most beloved feature. How easy it is to just have a glance on start screen to fetch out every detail :). Not the answer you're looking for? Browse other questions tagged windows-10-mobile notifications or ask your own question. Update to Windows 10 Gone Wrong, Should I Try Again?